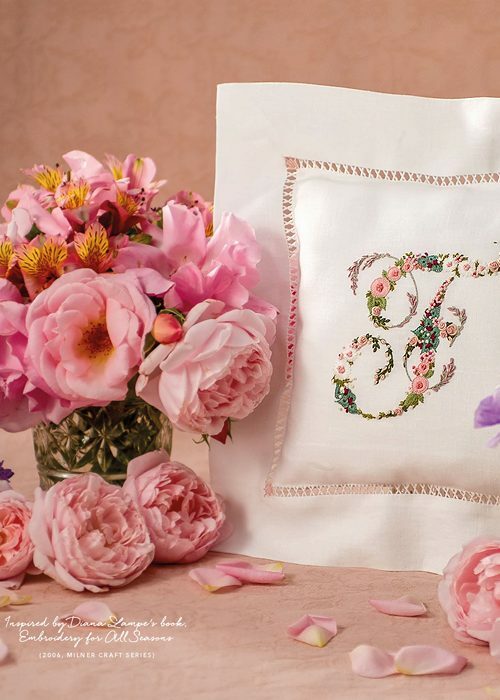 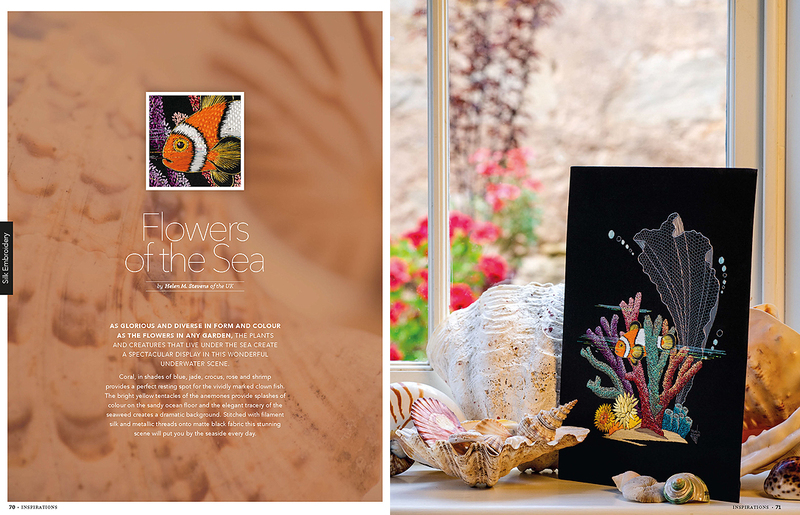 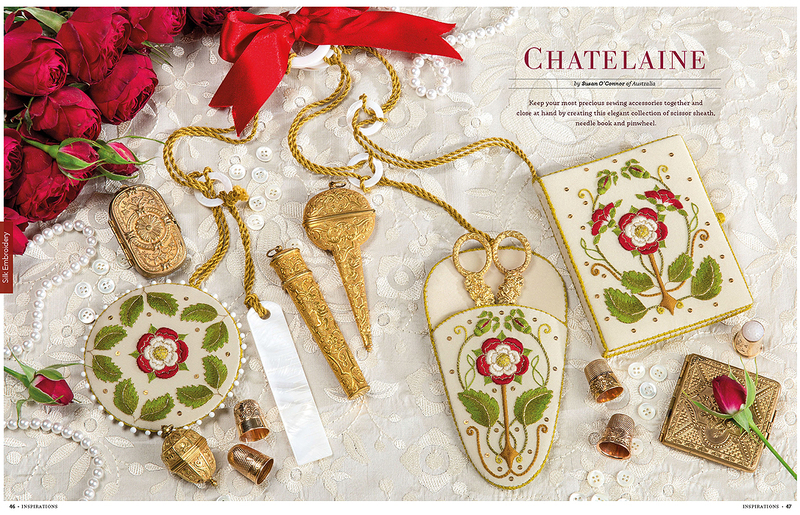 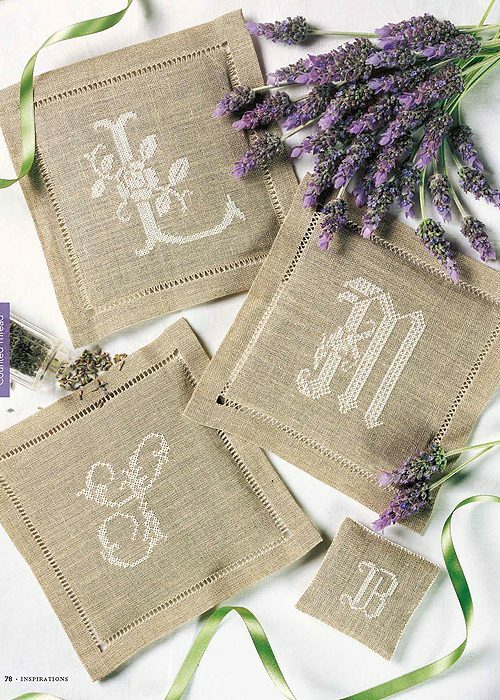 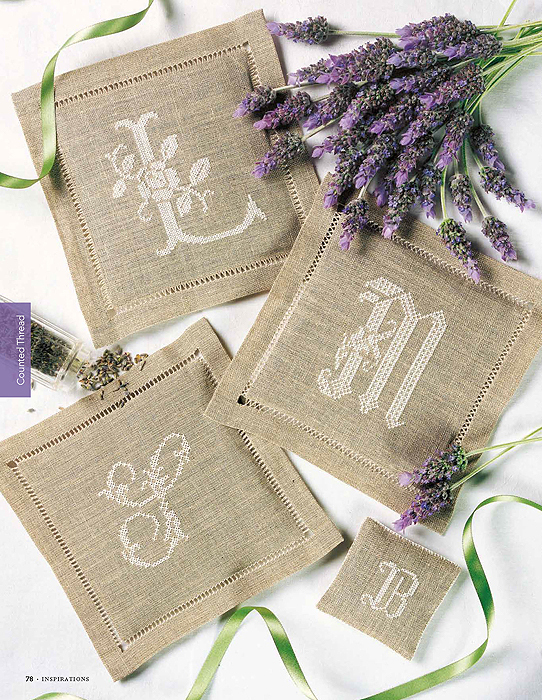 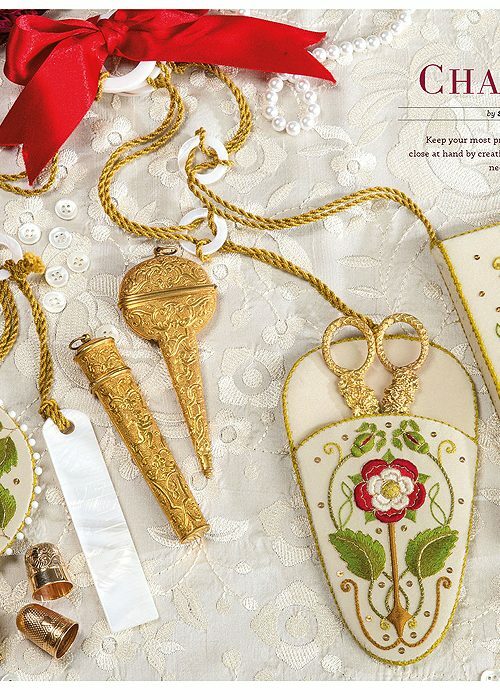 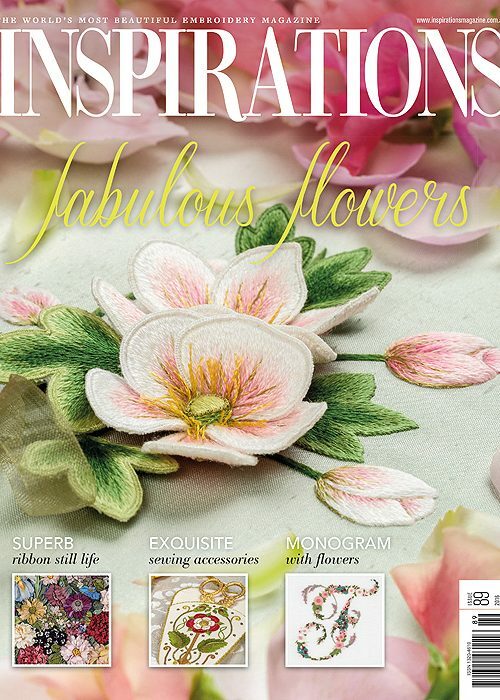 Needleworkers enjoy a timeless love affair with flowers. 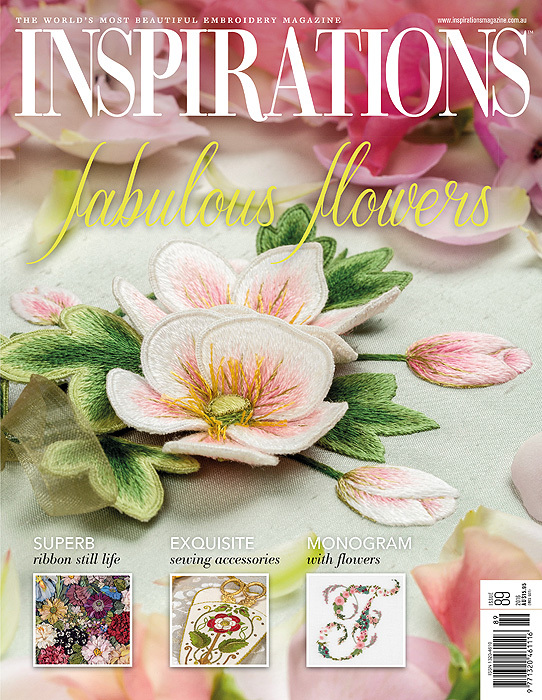 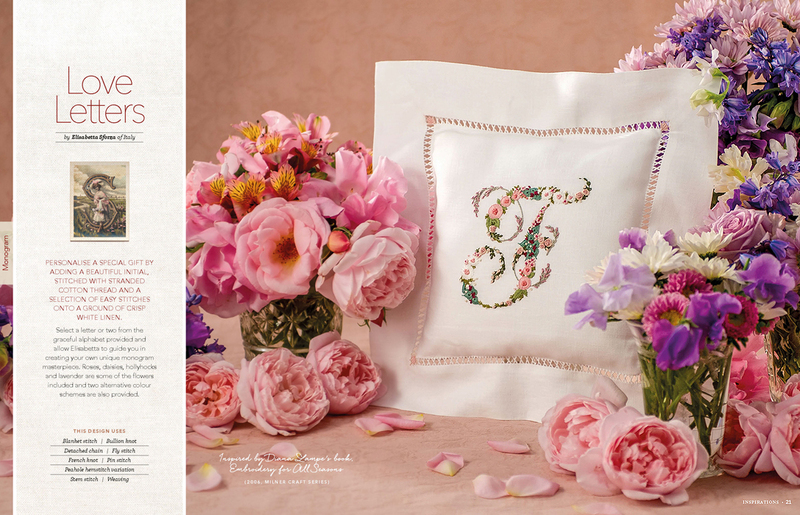 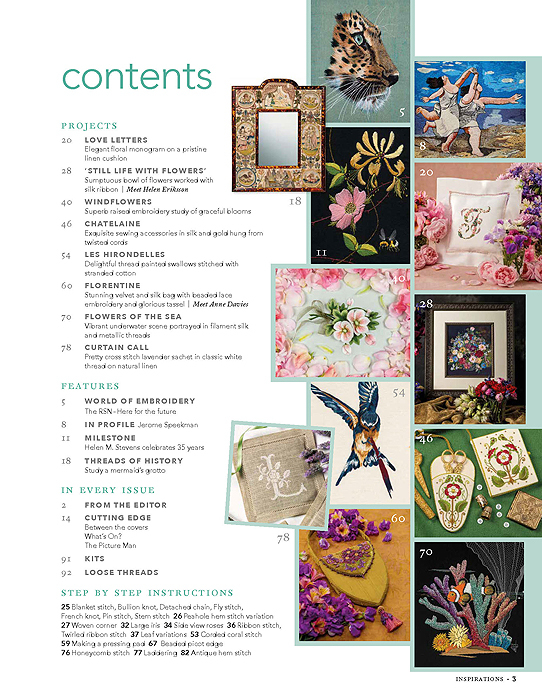 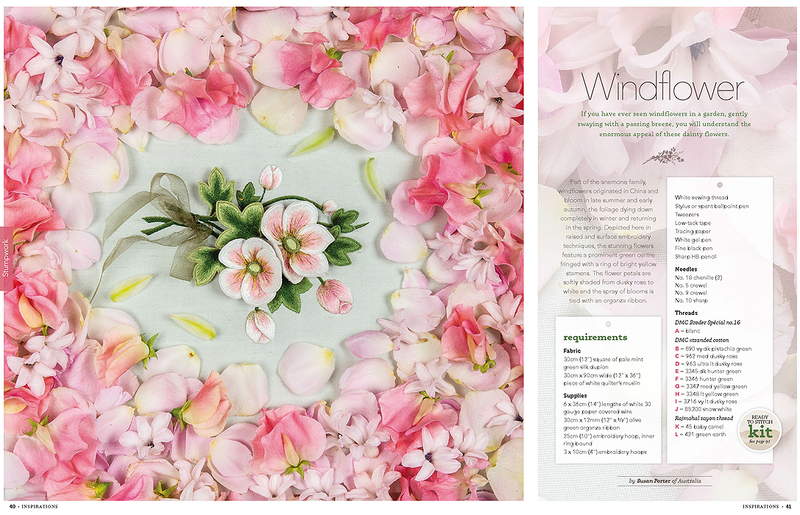 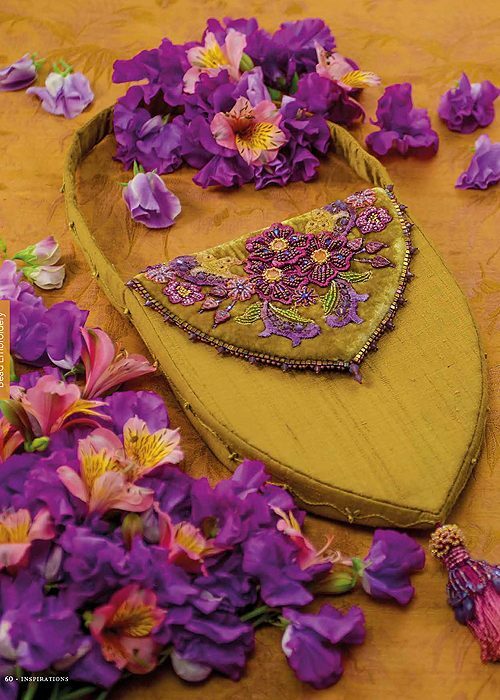 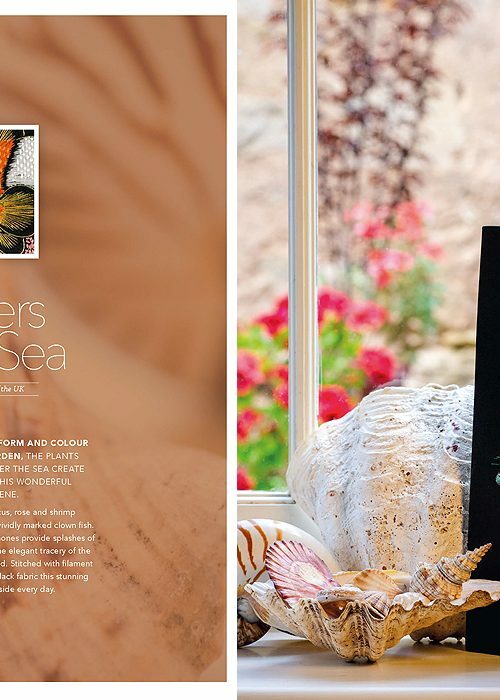 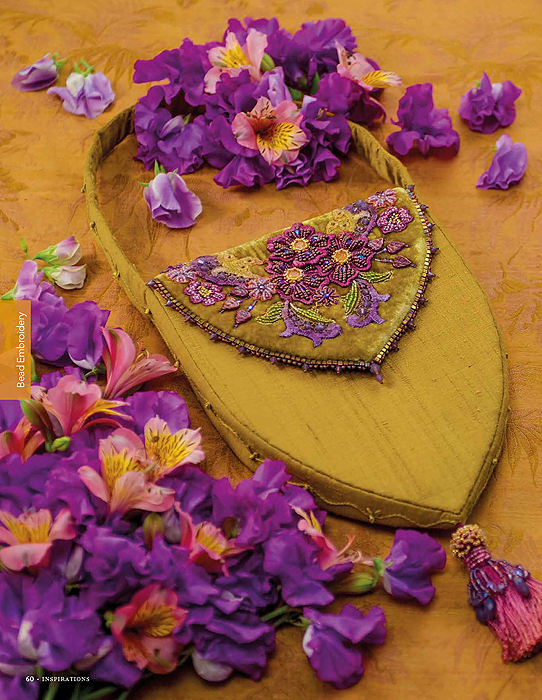 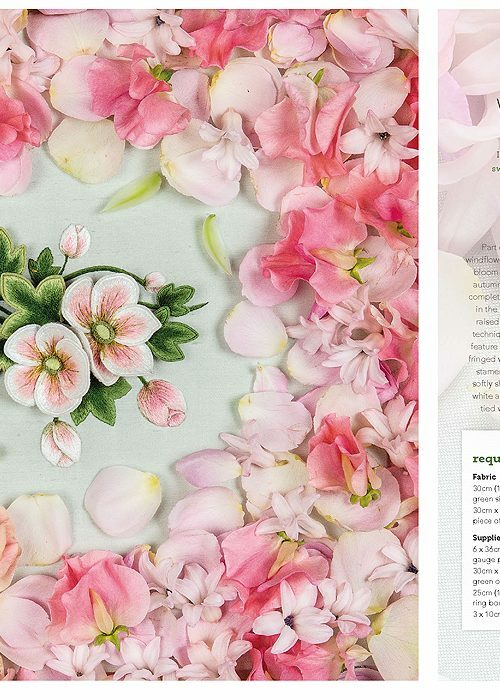 Inspirations issue 89 features an abundance of blossoms stitched in a range of techniques, from tumbling garden favourites to more formal designs. 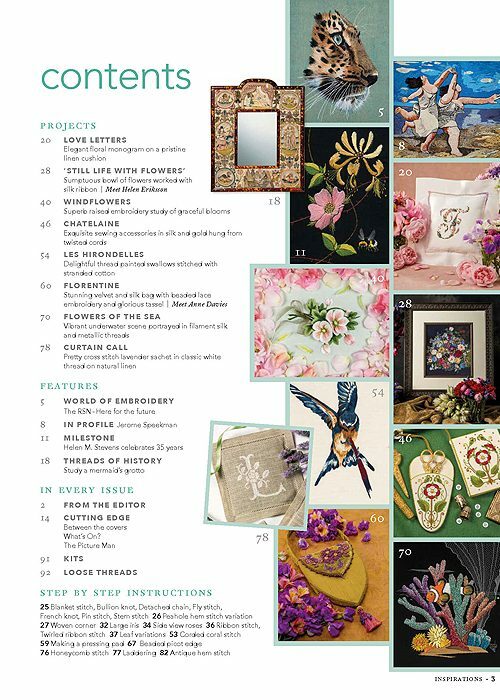 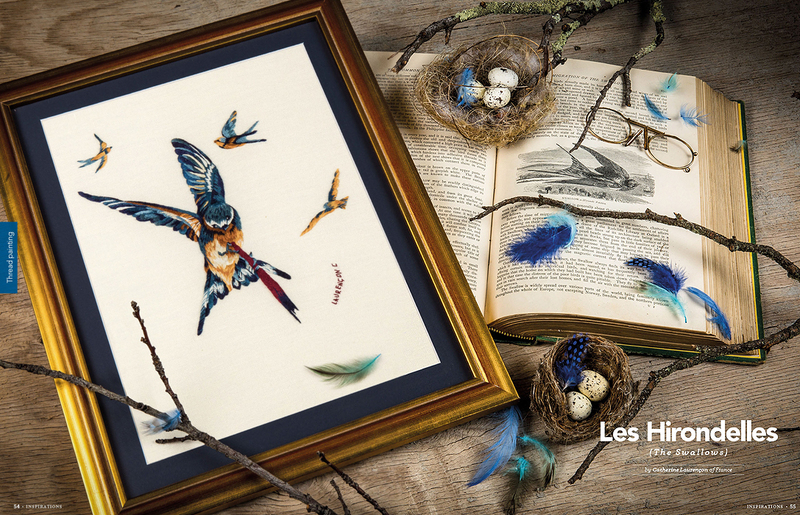 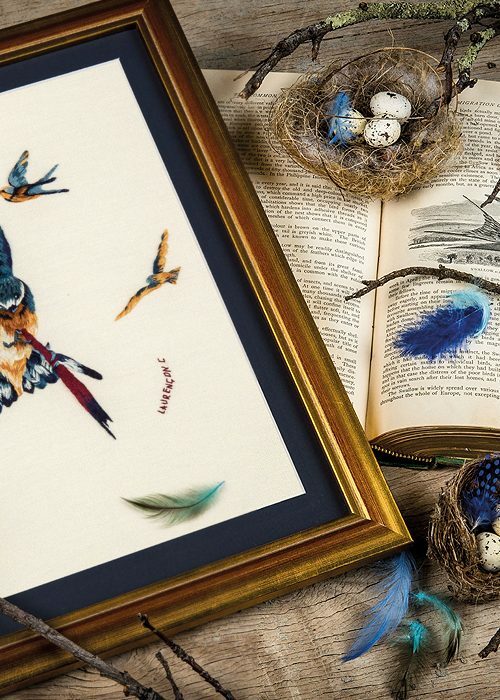 We feature articles about the Royal School of Needlework, the striking work of an Australian artist whose medium is stitch, a 17th century mirror frame in the collection of the Metropolitan Museum of Art in New York, and celebrate 35 years of superb embroidery with Helen M. Stevens.